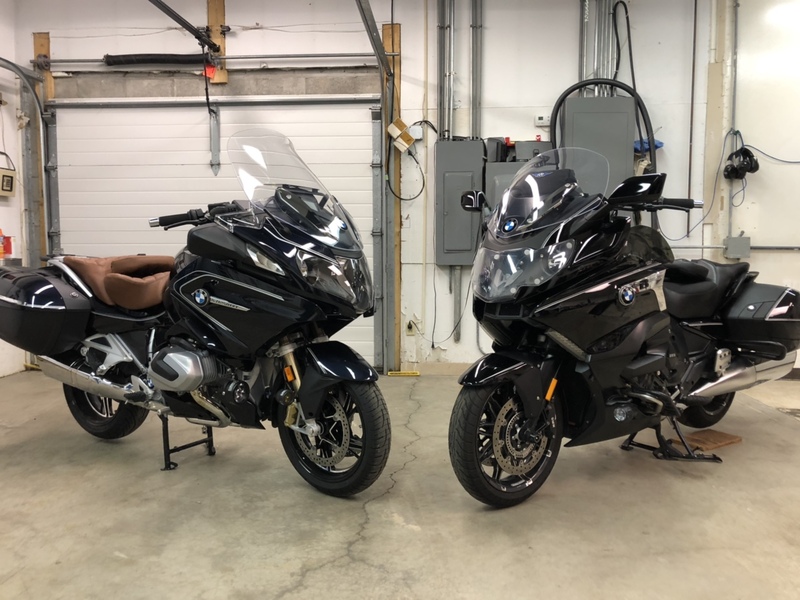 BMW K1600 Forum : BMW K1600 GT and GTL Forums > BMW K1600 Off-Topic > Bike Talk > 1250 RT 2019 any thoughts? How do you like that new shift cam thing? Any problems or misgivings? It’s totally seamless. I don’t know it’s there until I ask for power. Then, it’s hard to keep the front wheel down but for the wheelie control. Looking to get the wife a 2019 1250 RT....she rides a Harley Limited, looking to downsize the weight. Any thoughts and price that would be fair. how do I move the thread. I did a DUH! Why not go to the Heritage Classic.....697 lbs...26.3 inch seat height. That is if seat height is going to be a factor. You really didn't say in your initial post. He might be wanting the wife to ride an RT for the countless safety features (too many to list) available on the RT that the Harley doesn't and never will have. Last but not least, maybe he wants the wife riding something that has a chance of keeping up with his K bike... which ain't going to happen on any Harley let alone a Heritage Classic. Anyone dissing the RT hasn't ridden one. While it isn't quite as smooth or quick as the 1600 the wind management is quite superior and that boxer engine makes it a lot more controllable at slower speeds enabling it to handle the slow curvy roads and parking lots better. Bottom line is for a single rider who wants a lighter bike it fits the bill quite nicely. Darbinco, 03Camjob and R2K like this. Anyone dissing the RT hasn't ridden one. I've have very limited time riding one but I rather enjoyed it, nice bike. My biggest issue with it is it's just too small to be a good 2 up bike for the wife and myself. Now at some point if she decided to quit riding with me or got tired of my chit and kicked me down the road.. Then I might consider one. Five months ago I was ready to downsize a little and save money. I seriously considered a 1200 RT. I took it for a 100 mile test ride and hoped to make a deal on it when I got back. It was a leftover heavily discounted. While I liked the bike, there were a few things that kept me from buying it. So I turned my attention to a 1250GS. I came very close to buying it. But I didn't. Here is the short answer to the 1250 RT. It is **** near as expensive as the 1600 and has just enough engine vibration, issues with the gauges - big time sun reflection at times, and just not enough wow factor for me to want to buy a $25,000 RT. I wound up going back to an old friend, an FJR1300 and could not be happier with my decision. 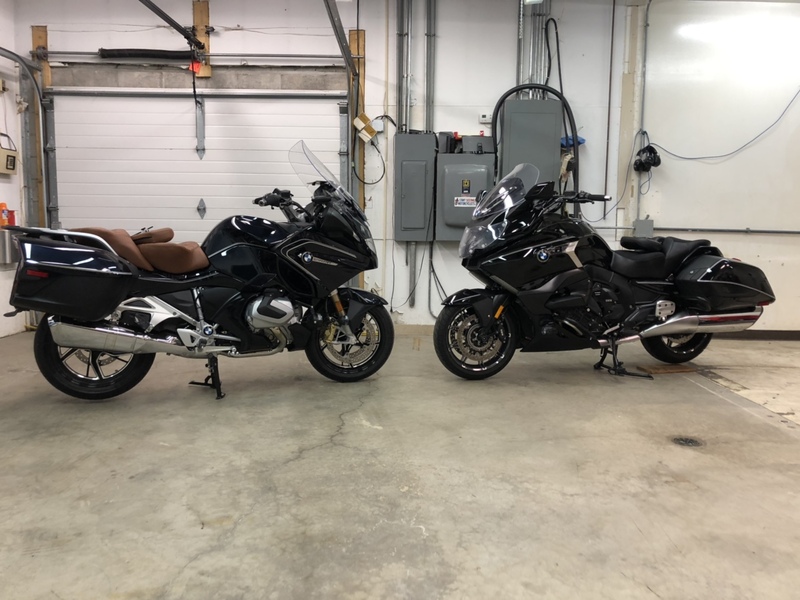 I rode the 1250RT prior to buying the K1600GTL. There is a significant difference in the throttle response between the two bikes. The RT wanted to get on one wheel in 2nd and 3rd. If 'felt' a lot faster and more technical/nuanced to ride smoothly. When your wife test rides the RT my guess is she will get off and say "this is way too fast." It's not faster than the K16, but with the lower weight and tighter throttle response it sure does feel like it. The 1250RT is a wonderful bike though. And if she likes how it rides and gets comfortable, I'm sure she'll love it. Another bike to think about is the R1250GS. (not the GSAdventure) It's a lot lighter than the RT and they sell a factory lowered one. I put street tires on mine (Roadsmart3) and it fits the touring bill quite nicely, The tiny stupid looking windshield does work quite well it just doesn't have the wind management of the RT. However the TFT display on the GS is a game changer.